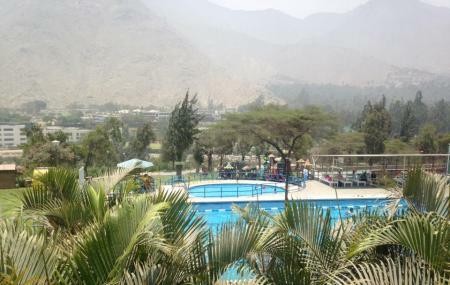 This is probably one of the most preferred places for fun and relaxation in Chaclacayo. Club Korikancha is a wonderful recreation and leisure clubs located in Chosica. It is only half an hour away from the city of Lima. Situated amid a lush green surrounding, this club offers great amenities. The place is accompanied by a well-maintained pool and cool weather. It would be better if you plan to come here on a weekend so that you can get a lot of time to enjoy with your friends and family here. Enjoy your comfortable and cozy stay in the bungalow here! Explore Club Koricancha and other prime spots of the city using Chaclacayo trip planner. Add comfortable hotels to your plan, choose from the recommended hotels in Chaclacayo like Villa Alegre, La Posada De Los CÃÃƒÂ³ndores and El Pueblo Resort & Convention Center - All Inclusive. Explore the best Chaclacayo vacation packages that will take to you important landmarks of the city! For getting in, check out how to reach Chaclacayo. Love this? Explore the entire list of places to visit in Chaclacayo before you plan your trip. Fancy a good night's sleep after a tiring day? Check out where to stay in Chaclacayo and book an accommodation of your choice. Cozy place. If you want to find a quiet place out of Lima, this is a great choice.